Fascia stretches are used to address tightness and adhesions within fascia. The increasing interest in fascia and fascia stretches is reflected in the literature and use in massage and rehabilitation settings. Fascia has been found to be involved in the pathogenesis of various conditions such as hernias, postural problems, low back pain, problems with muscle coordination and proprioception. The purpose of fascia is of structural support. It connects and holds things together and it has the property of being able to adapt to stress. Physical therapy and exercises can therefore influence its structure and viscosity. Why do we stretch fascia? Movement occurs in many planes. Fascia consists of layers of parallel collagen fibres bundled in an undulating fashion. Layers are separated by adipocytes to allow layers to slide on one another and layers have their collagen fibres oriented in different directions. This allows for strength, even when forces are exerted on it from different directions. It transmits forces from muscular activity and reduces friction between moving parts. There are also elastin fibres that lend it some elasticity. Superficial fascia is subcutaneous mainly made up of loose areolar tissue and fat cells. It also surrounds organs and neurovascular bundles. 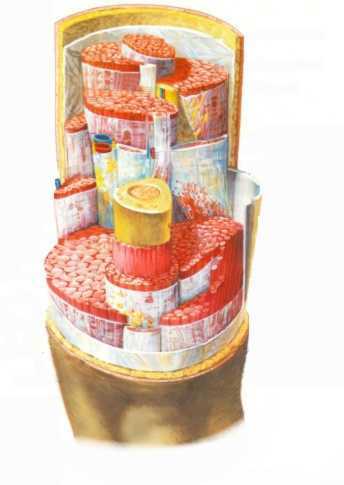 Deep fascia surrounds muscles and subdivides muscles in compartments. This is a more dense connective tissue found in the muscles as epimysium, perimysium, and endomysium, but also surrounds bones, neurovascular bundles and joints. Amongst the layers of collagen fibres there are ruffini and pacini corpuscles that play a role in proprioceptive feedback. We use fascia to determine limb position and aid in balance. Fascia that surrounds the muscles can be more specifically called myofascia. The fascia that surrounds the muscles is connected throughout the body as a network, so stretching just one muscle is virtually impossible. Fascia stretches as do all soft tissues. Fascia stretches as it surrounds muscles, neurovascular bundles, groups of muscles, and organs. Fascia stretches around muscle groups and is continuous with every muscle and tendon. Think of it as a network around all of our body parts connecting us all together. You cannot therefore simply stretch one muscle individually. Stretching fascia involves positioning multiple joints at different angles, and different planes of movement. In some cases of trauma, post operative healing, or overuse injuries the ability of these collagen fibres to glide over one another can be affected. Adhesions among the layers of fascia can inhibit movement of structures on one another causing pain and loss of mobility. Because movement occurs through many planes as fascia traverses many planes, not just forward and back, it is beneficial to stretch across several planes to achieve maximum stretch. The normal functioning of the musculoskeletal system is dependent on the mobility of the fascia. Fascia contains strong collagen molecules, relatively elastic molecules, and water. The proportion of these varies depending on the type and location of the connective tissues. The viscoelasticity of fascia lends it the properties of a solid and a liquid to different degrees depending on its temperature. When first getting out of bed in the morning your body temperature is lowest, hence your fascia behaves more like a solid. After a warmup or light aerobic activity your core temperature increases and the fascia becomes less viscous and more elastic behaving more like a liquid.